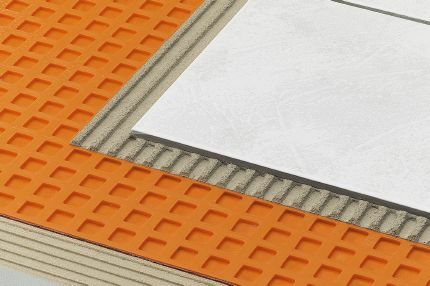 Schluter FAST-SET® is a specialized rapid-setting modified thin-set mortar specifically formulated for use with Schluter® membranes and boards. 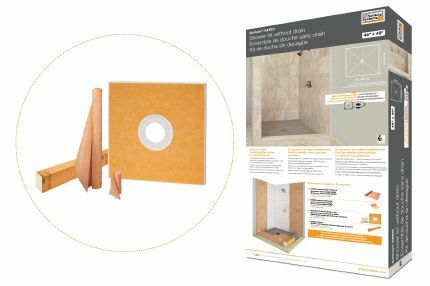 Schluter FAST-SET® is a specialized, fast-setting modified thin-set mortar for use as a bond coat within tile assemblies that is optimized for use with Schluter® membranes and boards. 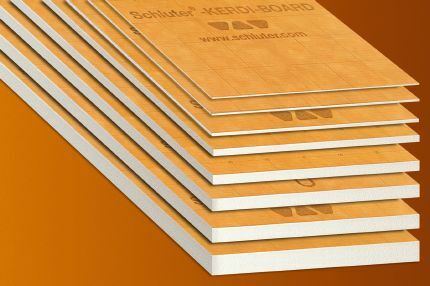 Schluter FAST-SET® is smooth and creamy, as well as easy to handle and spread. It is sag-resistant and ideal for setting tile on both horizontal and vertical surfaces. 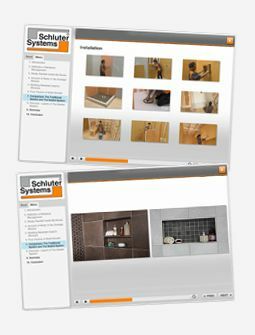 Schluter FAST-SET® is suitable for use with ceramic, porcelain, and stone tile, including large and heavy tile, in conjunction with Schluter®-Systems’ uncoupling and waterproofing membranes (e.g., DITRA, DITRA-HEAT, KERDI, etc. 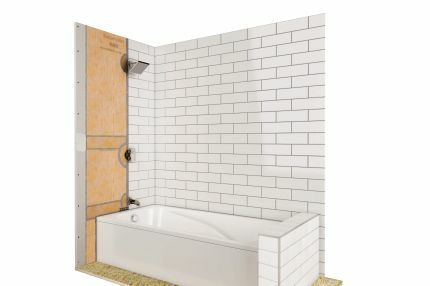 ), the Schluter®-Shower System, and KERDI-BOARD. 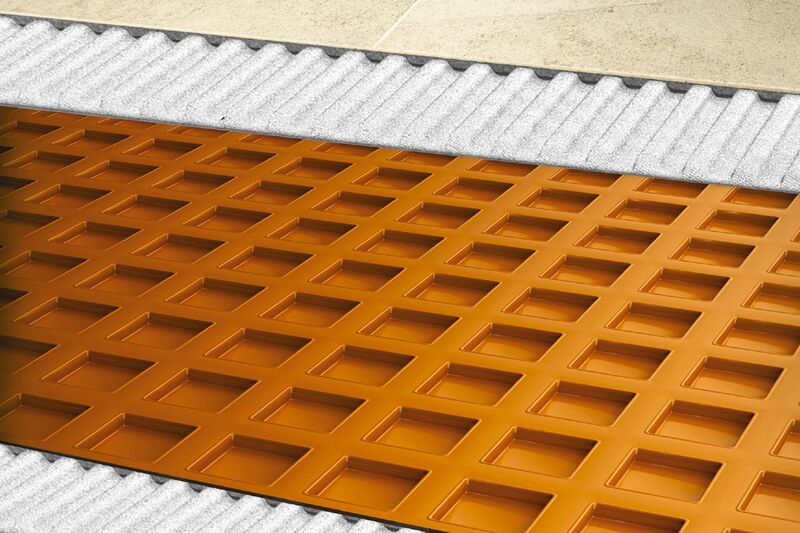 Schluter FAST-SET® can be used in both interior and exterior systems and is available in both grey and white. 1. The substrate must be clean, even, and load bearing. 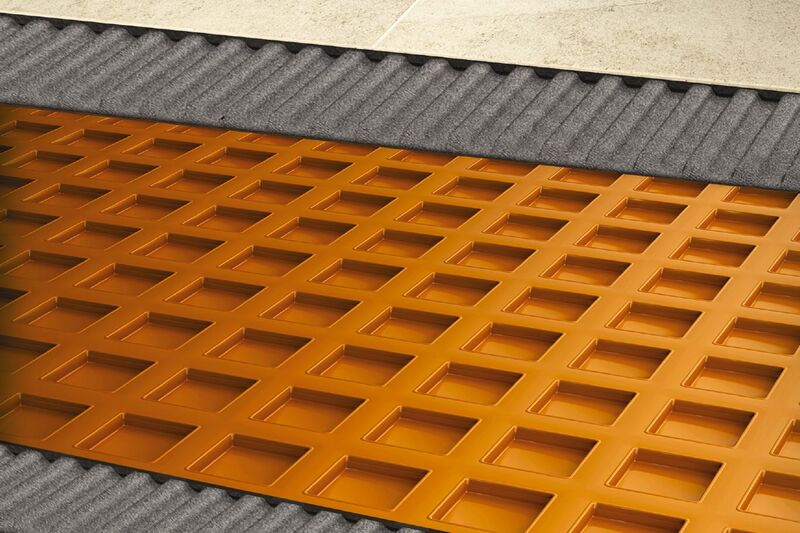 Any leveling of the subfloor must be done prior to application of Schluter FAST-SET®. 2. Following this procedure will produce the best workability and help ensure maximum open time and pot life. 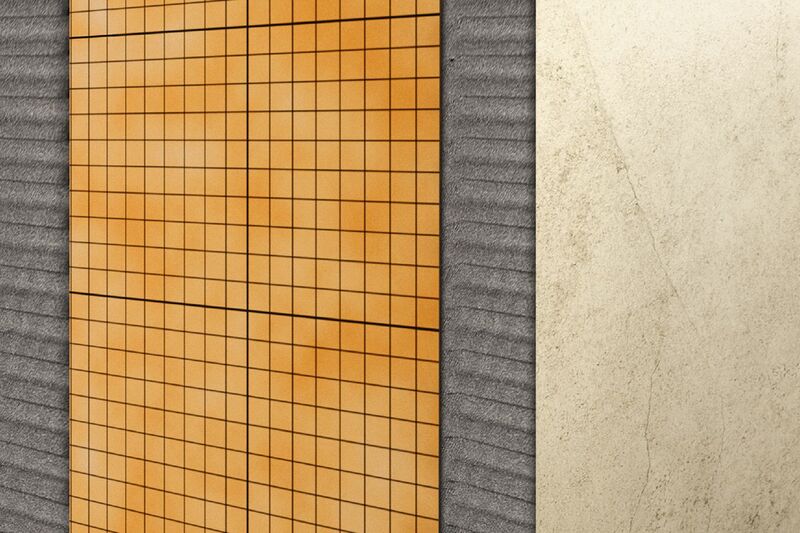 For Schluter® membranes the mortar should be mixed to a fairly fluid consistency, but still able to hold a notch. Do not add more water after mixing. Solidly embed into the mortar using a float, screed trowel, or SchluterR-DITRA-ROLLER. When using DITRA-ROLLER, place a weight (e.g., bag(s) of mortar/grout or box of tile) not to exceed 75 lbs (34 kg) on the DITRA-ROLLER shelf. Slowly move the roller from one end of the matting to the other, slightly overlapping successive passes. Lift up a corner of the membrane to check coverage. Proper installation results in full contact between the fleece webbing and the mortar. Solidly embed the tile in the mortar, pushing the tile in a back and forth motion to collapse the mortar ridges. Periodically remove and check tile to ensure sufficient coverage is being attained (>80% for dry applications, >95% for exterior or shower applications –see ANSI A108.5). Back-buttering is a useful way to help ensure proper coverage, particularly when installing 12" x 12" (305 mm x 305 mm) and larger tiles. Clean all excess mortar from tile and joints while mortar is still plastic using a sponge and clean water. Maintain ambient and surface temperatures between 40°F to 95°F (4° C to 35° C). Wait at least 4 hours at 70° F (21° C) before grouting. Extended cure times before and after grout application may be required if temperatures are lower. Install grout per ANSI A108.10, A108.9 or A108.6 specifications and grout manufacturer’s instructions. Protect the installation from heavy traffic and water exposure for a minimum of 24 hours to allow the mortar to set. Protect the installation from freezing for a minimum of 28 days.